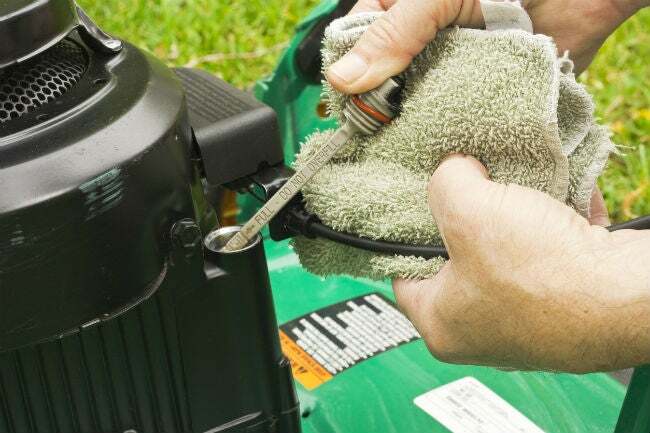 Proper maintenance for your mower is key to a working machine and a healthier lawn—and it all starts with the right refill. Get to know your options here. Q: I haven’t changed my lawn mower’s oil since last season, so I’m feeling rusty. Remind me: What type of oil can I use in my lawn mower? A: You’re not alone. In fact, this bit of lawn mower maintenance happens so occasionally that some people forget to replenish lawn mower oil in the first place. It needs replacing only after every 20 to 50 hours of operation, depending on your mower’s specifications. If your yard is small, that might mean as few times as once a year! 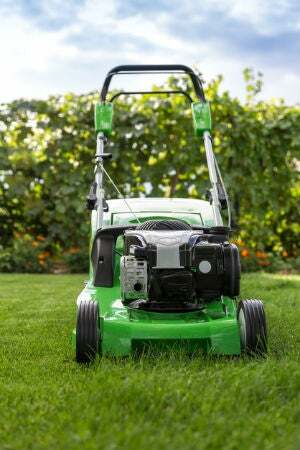 But, while this task is infrequent, it’s also important to do properly—starting with the correct type of oil for lawn mowers—in order to keep your machine running. Contrary to semi-popular belief, it’s not always wise to use regular motor oil. According to a survey of consumers conducted Briggs & Stratton, the world’s largest producer of gasoline engines for outdoor power equipment, 48 percent of those who buy automotive oil for their mower believe automotive oil and small engine oil are one and the same. 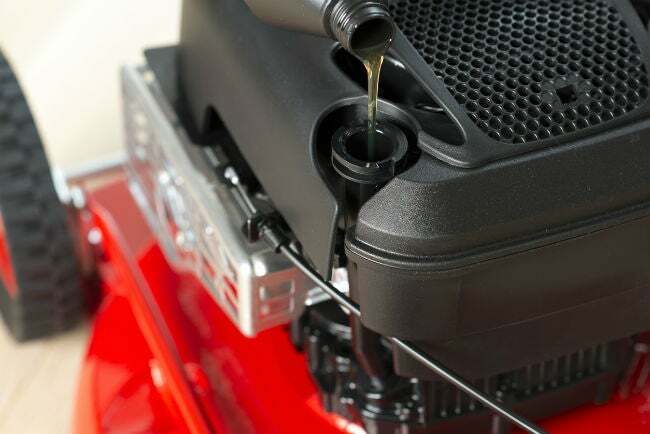 In fact, small engine oil may actually be the only thing your mower can tolerate, and using motor oil meant for a tractor or car can clog and disable some units completely due to its higher viscosity. Always check your manufacturer’s specifications first. No owner’s manual handy? If yours has a Briggs & Stratton engine, you can utilize the company’s new interactive tool to determine the right type of oil for your specific lawn mower’s Briggs & Stratton engine based on its make and model, motor type, and local climate. Talk about a shortcut! Otherwise, at a minimum, it’s important to keep a few guidelines in mind. Motor oil is suitable for four-cycle (or “four-stroke”) motors. These engines are common in large and/or riding lawn mowers as well as some push mowers. Even so, be sure to check your manufacturer’s manual or website for specific instructions on which grade of motor oil to use, since—much like a car—the engine may be sensitive to certain additives. Oil with a grade of SAE-30 is often a safe bet, but still worth confirming since a lawn mower is no small investment. Motor oil can be found at any auto parts store, most gas stations, and the automotive section of any hardware store. Small engine oil is generally best for two-cycle (or “two-stroke”) motors. This type of engine is most commonly found in smaller and older push mowers, though its popularity has decreased some over the years as four-stroke units become more common. Louder and smokier than their four-stroke counterparts, two-stroke motors can keep running no matter how steep an angle you’re trying to tackle (think: hilly or sloped terrains). And, since they use the same fill port for both gasoline and small engine oil, two-cycle motors require owners to mix them together in a specific ratio such as 32:1 or 50:1—refer to your operator’s manual for the correct gas-to-oil ratio. Small engine oil can be found in the lawn and garden section of any hardware or auto parts store. Know when to change your lawn mower’s oil. A brand new mower may need an oil change after the first five hours of use; refer to your unit’s manual. Beyond that, small motors may need an oil change every 25 hours of use or thereabout, while larger motors may last up to 50 hours before requiring oil replacement. A handful of factors can increase the frequency of your oil changes, including extreme dust and dirt, rough terrain, frequent mowing of wet or muddy grass, and even a hot climate—conditions in which the engine is forced to work harder. If you have a large yard (or if you mow your small yard frequently), use a dipstick or clean cloth to check your oil level before each use once you’ve gone beyond 20 hours or so. And, even if you haven’t hit the 20-hour mark at the end of a season, make a point of changing your oil each spring, before your first mow.